No need to compromise, the Swamp Tuff has it all. Built to keep you warm with insulating neoprene and 1200G of Thinsulate Ultra, it’s also completely waterproof. There's plenty of storage for all the gear you'll want to have close at hand. And with abrasion-resistant protection and liquid rubber seam seals, you’ll stay dry and comfortable hunt after hunt, season after season. ARMOR WELD - Double stitched seams are bonded and taped on the inside, then coated with an abrasion resistant liquid rubber on the outside for uncompromising waterproof protection and durability. 1200G THINSULATE ULTRA - High-performance insulation that keeps you warm in the snow and rain without weighing you down. 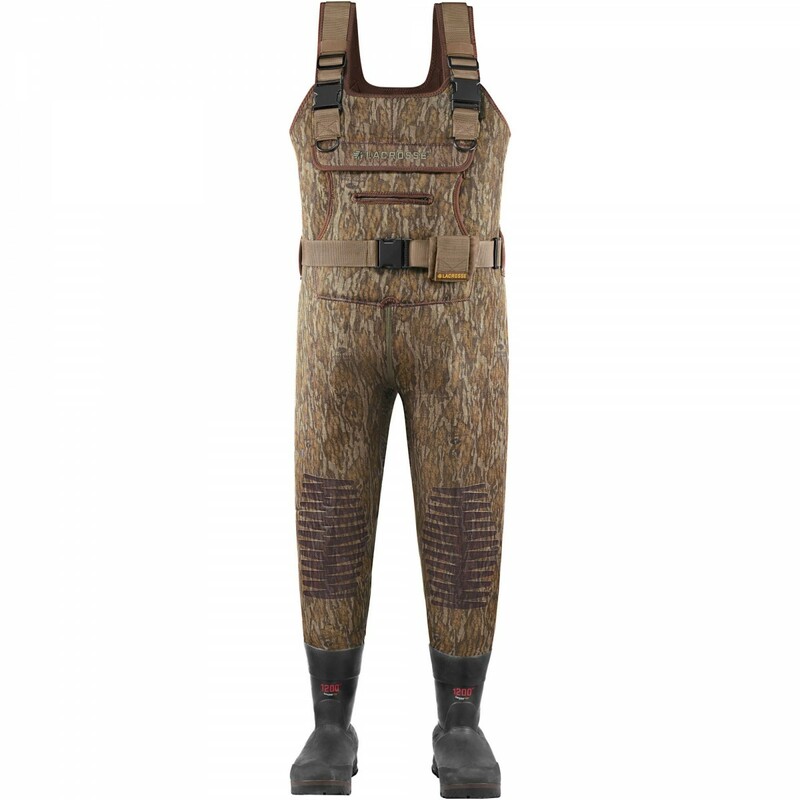 5MM NEOPRENE - This wader upper is made of heavyweight, 5mm insulating neoprene. BRUSH TUFF - A unique combination of spandex and Lycra is layered over neoprene for extra durability. 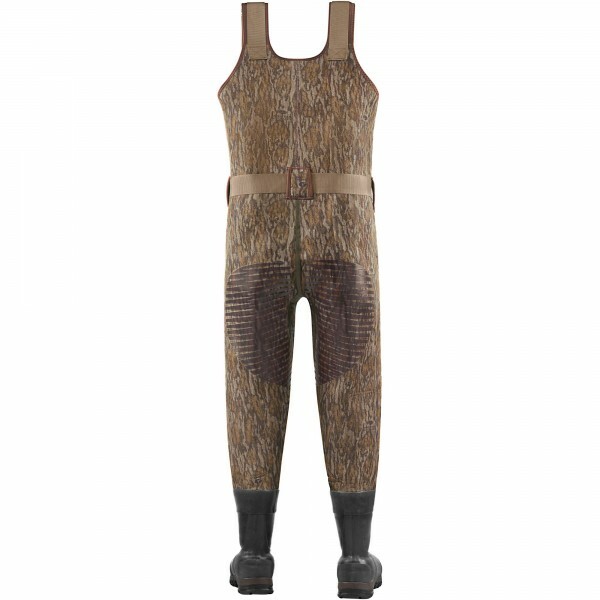 MOSSY OAK BOTTOMLAND - Mossy Oak’s enhanced version of the original camo pattern created over 25 years ago, still offers the same ability to blend into dark environments and obscure your outline from every angle. WAIST BELT - Detachable waist belt for an adjustable fit. SWAMP TUFF OUTSOLE - Swamp Tuff low lug outsole easily sheds debris and mud. CONVERTIBLE STRAPS - Buckle and Velcro straps convert to a belt when waders are folded down. REMOVABLE ROLLOUT SHELL POUCH - Removable shot shell pouch has ample storage.